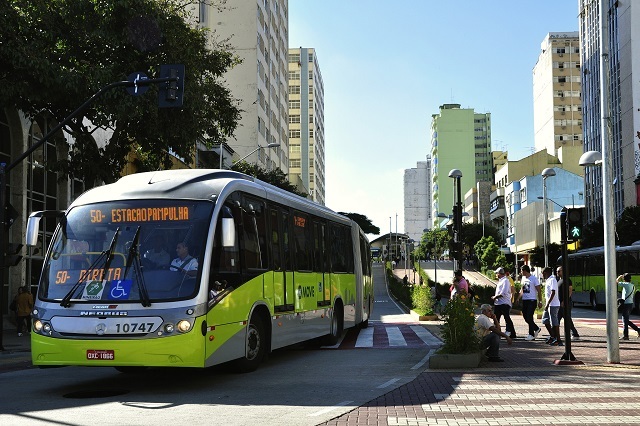 Global BRT Data, an international platform managed and updated by WRI Brazil Sustainable Cities, began a new partnership last week with the Institute for Transportation and Development Policy (ITDP) and its tool, BRT Standard, which defines criteria for a true bus rapid transit (BRT) system. The BRT Standard is a highly technical resource that scores BRT corridors in more than 30 categories, including off-board fare collection, a dedicated right-of-way, infrastructure quality, service planning and communications. The quality of the systems is awarded a basic, bronze, silver or gold ranking. The standard creates a common definition for BRT systems, setting systems apart for quality and reliability. This new standard will serve as a guide for cities to model new systems after. In addition to the BRT Standard, BRTData will also feature a new, separate indicator that will classify all non-BRT bus corridors. Soon, all bus corridors in the platform, including those that aren’t BRTs, will receive a rating. “Global BRT Data was developed as a way for the transport community to track and measure the progress of bus priority systems all over the world. With this partnership and the new indicators, it will be possible to easily identify which corridors are BRTs and which are not,” says Cristina Albuquerque, WRI Brasil urban mobility coordinator. Cities around the world have found BRT systems a financially responsible and practical answer to demand for better and safer transit services. The most prolific region for BRT is Latin America, with systems from Mexico to Argentina serving more than 19 million people a day. BRT systems in Asia serve around 10 million people a day, half in China. And in Africa, BRT systems reach half a million people daily – a number that continues to grow as more are developed. One-hundred and sixty-five cities in the world have bus priority systems, reaching over 32 million riders a day. Launched in 2012, BRTData is made possible through a partnership between members of BRT + CoE and ITDP and is recognized as one of the most comprehensive online database of bus corridor systems worldwide, listed as one of the 10 best websites for transport planners in 2017.